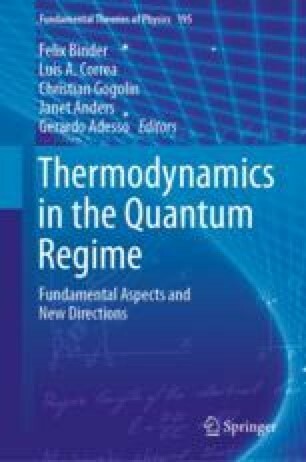 In this contribution, we aim to illustrate how quantum work statistics can be used as a tool in order to gain insight on the universal features of non-equilibrium many-body systems. Focusing on the two-point measurement approach to work, we first outline the formalism and show how the related irreversible entropy production may be defined for a unitary process. We then explore the physics of sudden quenches from the point of view of work statistics and show how the characteristic function of work can be expressed as the partition function of a corresponding classical statistical physics problem in a film geometry. Connections to the concept of fidelity susceptibility are explored along with the corresponding universal critical scaling. We also review how large deviation theory applied to quantum work statistics gives further insight to universal properties. The quantum-to-classical mapping turns out to have close connections with the historical problem of orthogonality catastrophe: we therefore discuss how this relationship may be exploited in order to experimentally extract quantum work statistics in many-body systems. J.G. is supported by a SFI Royal Society University Research Fellowship. This project has received funding under the European Unions’s Horizon 2020 research and innovation programme (great agreement no 758403-ODYSSEY).